Samyang 35mm T1.5 Cine, Nikon Fit This lens looks to be in near mint condition with almost no signs of use. The optics are clean and clear with no marks or scratches. The lens barrel shows almost no cosmetic marks. 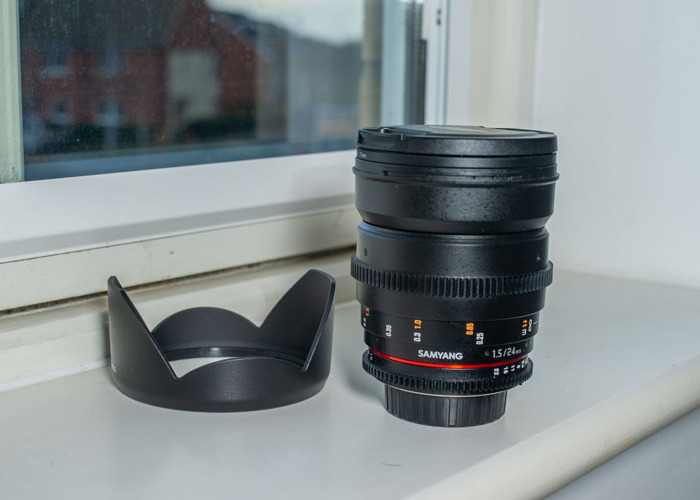 The focus ring is smooth and in great condition. The lens mount is in great condition showing almost no signs of use.